Bookmark advertising Augur's Corner Book Store, which is just up the road from us in Cooperstown, NY. I'm happy to report Augur's is still in business. 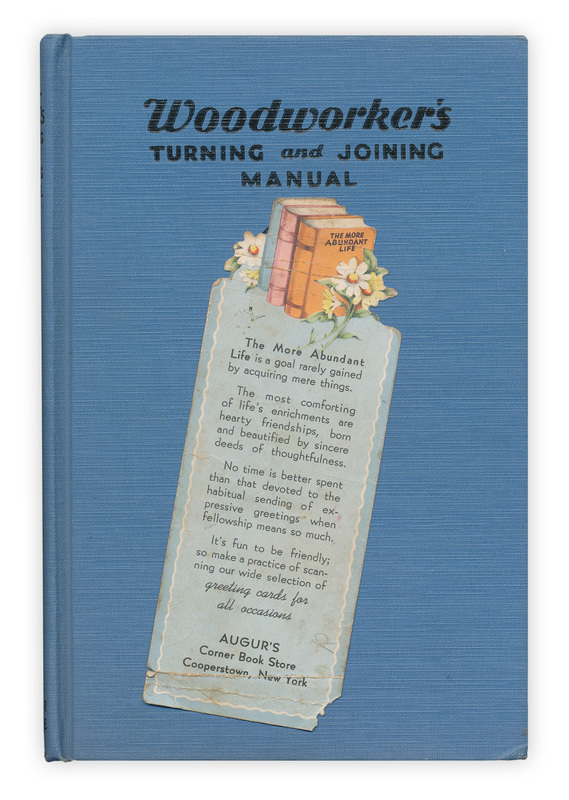 Found in "Woodworker's Turning and Joining Manual" published by Popular Science, 1946. No date on the bookmark but its sentiments are just as important today. Thank you for beginning my day with this.